Greetings from Port Moresby, Papua New Guinea! 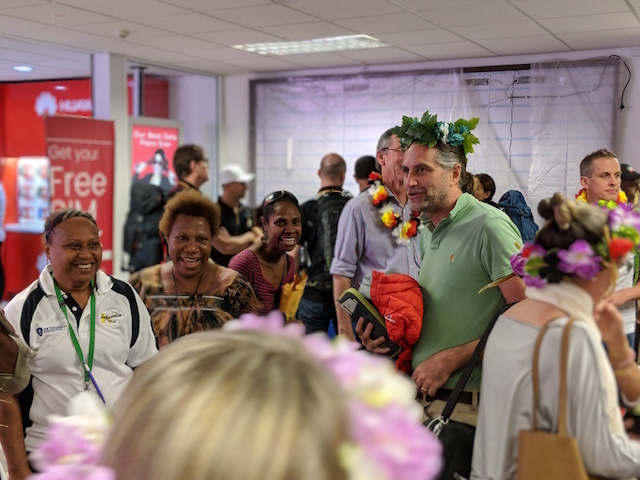 Open Heart International is at Port Moresby General Hospital for the second of two visits for 2018, and has hit the ground running.For some volunteers, their first official activity was a press conference as soon as they landed! 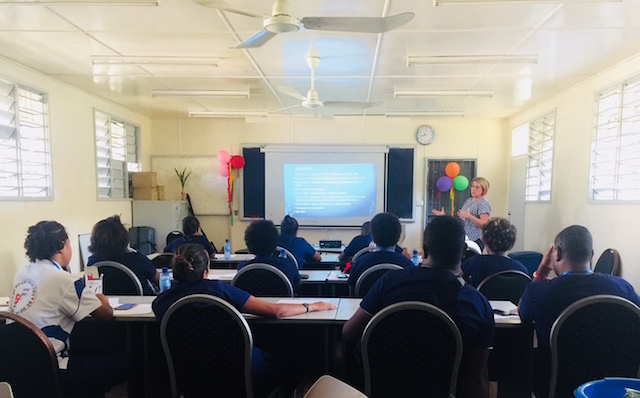 While the majority of the team arrived on Saturday afternoon, a smaller group of volunteers have been in PNG already for a few days, delivering on some important activities that contribute to the project visits’ overall goals. Dr Scott Fox, a paediatric cardiologist from Brisbane, has been busily assessing patients in conjunction with the local PNG cardiology team.From their work, a surgical list has been drawn up, and the aim is to provide open heart surgery to 11-12 children during the week.The last operating day will be this coming Friday. While our visit aims to bring transformation and second chance at life to the children who will be operated, the actual main game is the capacity building and education that is being invested into the PNG nursing and medical profession, with the intention that they will be able to self-sufficient in cardiac surgery in the near future. Four team members – Sam, Sarah, Claire, and Svatka, along with our PNG colleagues, have been delivering additional intensive care training workshops to the PNG nursing team.The workshop features classroom based lectures, plus simulation teaching.They’ll also be able to apply their learnings throughout the week as the Cardiac ICU fills up with patients operated during the week. 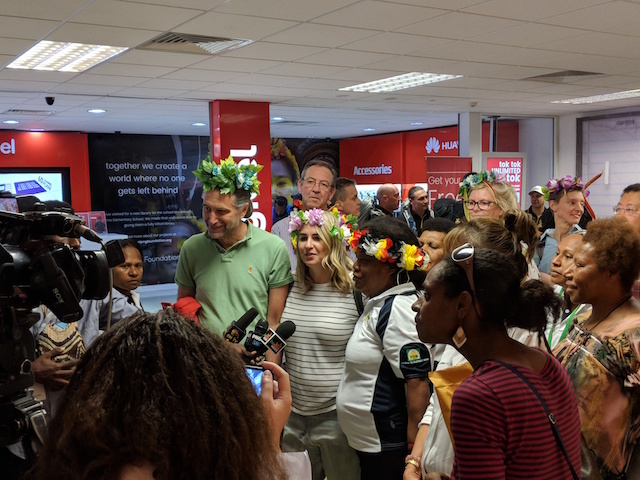 No doubt it is going to be another busy week, and another successful project visit to Port Moresby.I look forward to keeping you up-to-date with all the happenings here!